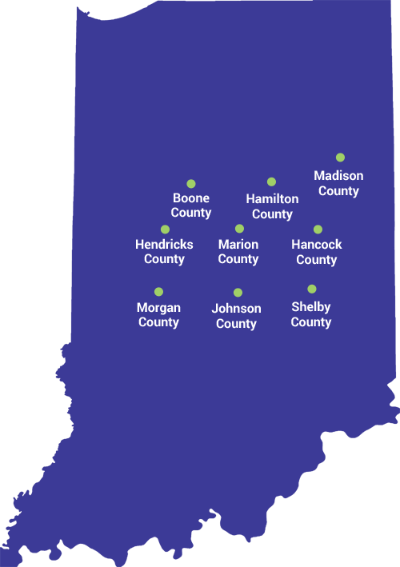 Breedlove Dobbs Heating and Cooling proudly serves greater Indianapolis and the surrounding areas in Marion, Boone, Hamilton, Hancock, Hendricks, Johnson, and Madison County for all your heating and cooling needs. To learn more about the specific areas we do business, visit our area pages below for more information. If you have any questions about the areas we serve, give us a call at 317.888.9111. In the event that we do not provide heating and air conditioning services in your area, we’d be happy to recommend a company who can.